I’ve run across a lot of recipes similar to this, so I thought I’d make a slightly varied version. It turned out really good. 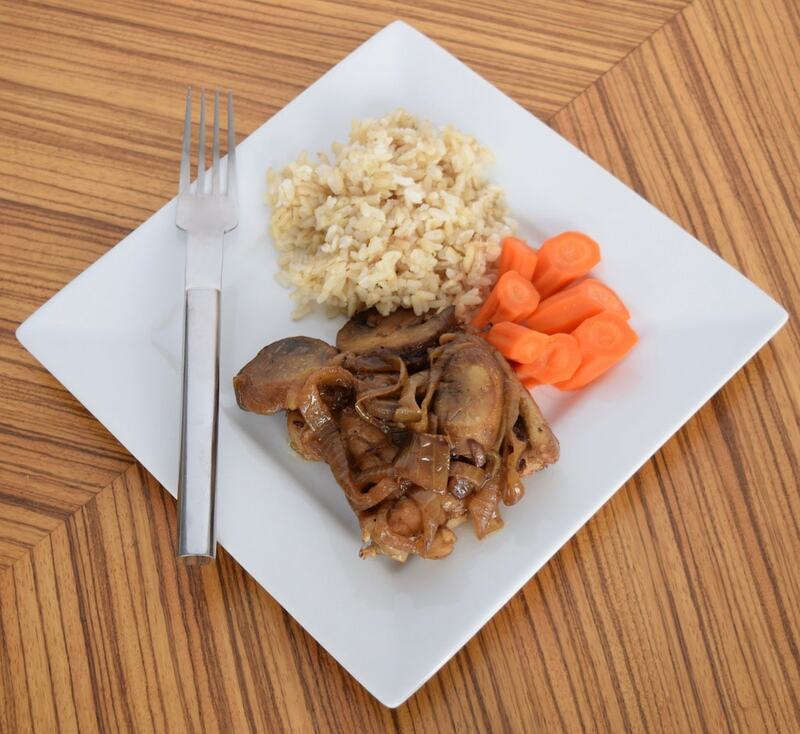 In fact, skipping the chicken and making just the onions, mushrooms and garlic makes for a great side dish or topping for rice or quinoa. Substituting some condiments like soy sauce, fish sauce, Golden Mountain Sauce, or even Hoisin sauce would make for a nice Asian-flavored dish. You could even break it down further to Thai, Japanese, Chinese or Vietnamese flavors, too, including the addition of red curry flavoring, turmeric and garam masala for an Indian flavor profile. 1T heavy cream or cream substitute like coconut cream or milk/butter. Up to a half-cup of cream would provide for a creamy sauce, as opposed to a thinner gravy. Brown the chicken thighs in oil, until thoroughly browned but not cooked through. Remove and keep for later. To the same pan with the heat turned down to medium, add the butter and onion slices, cooking until the onions begin to soften. Add the mushrooms and cook them until they begin sweating. *Add the garlic, balsamic vinegar, broth and cream, mixing well. Making this again I would use a full cup of broth, because what liquid doesn’t cook off is delicious and what’s left after a ½ cup is not enough. Now’s also the time to add the rosemary or thyme. Reintroduce the chicken, covering the pan, cooking at a medium simmer until the chicken is cooked to 165 degrees (fully cooked). 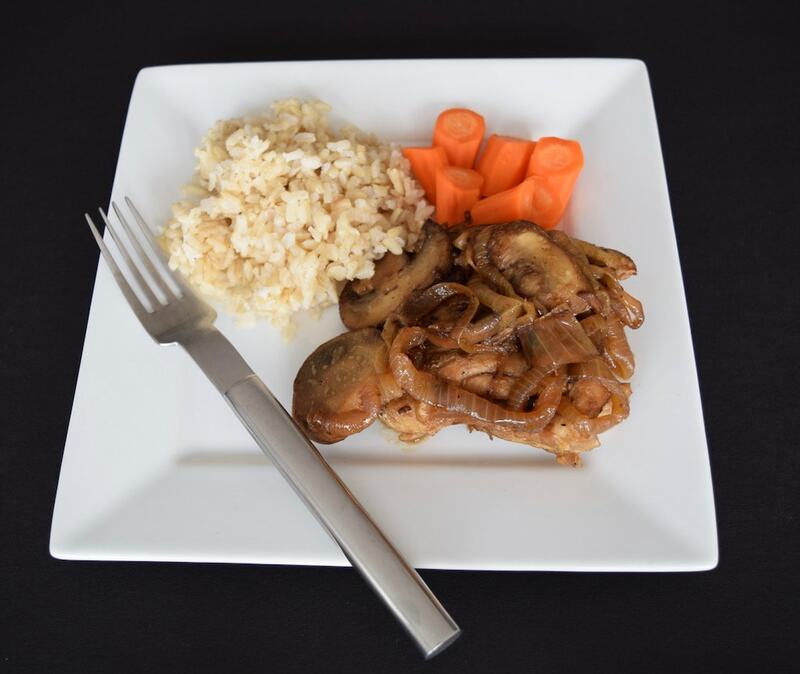 Serve with rice, potatoes or pasta, using some of the onion/mushroom/broth mixture as a topping.